In December 2014, the Swiss Agency for Development and Cooperation-funded (SDC) Care and Support for Teaching and Learning (CSTL) initiative saw two new SADC Member States, Zimbabwe and Malawi, officially join the programme. Inception meetings in both countries took place in December and plans to commence intensive implementation were put in place, and will commence in 2015. 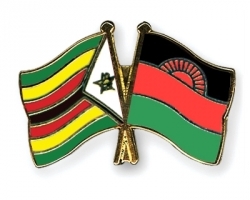 Zimbabwe and Malawi join Mozambique, Zambia, DRC, South Africa and Swaziland, bringing the total number of countries intensively implementing CSTL to seven. The CSTL programme was unanimously adopted by the Education Ministers of all Member States of SADC at a meeting in Zambia on 4 July 2008. This programme supports the Education Ministers to fulfil their commitments and intentions of providing quality education to all children. The programme was developed by the SADC Secretariat, in partnership with MIET AFRICA, UNESCO Regional Office and UNICEF ESARO, and provides a comprehensive approach to addressing the barriers to teaching and learning that are associated with health- and poverty-related challenges.